 Spacious and comfortable terminal building with a beautiful view of the surrounding countryside.  Pilot lounge with flight planning computers and television.  The Dale Parkhill Conference Room.  Free coffee and popcorn.  Maintenance Services on the field, provided by MMS Aviation. "The service was great. The young gentleman even pumped the fuel at this price. Great FBO!" "Great fuel stop. Very friendly staff." "Line guy was waiting by the pump for me when I taxied up. Superb service. Why WOULDN'T I stop there for fuel with service like that..."
"What a great airport! New terminal, friendly people, reasonable fuel cost and more. Recommend this as a fuel stop." "Can't say enough good things about a recent stop in Coshocton. Extremely friendly folks, and everyone in the town was great." "Nicest folks in NE Ohio and perhaps the whole NE US! Great fuel prices, always." "Wow! What a great FBO. Why can't all GA airports be this nice!" 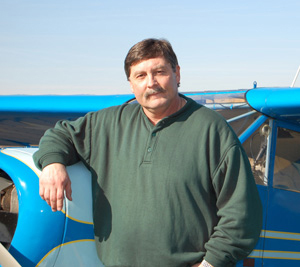 Check out what other visitors are saying about Richard Downing at Airnav.com's Comment's page .